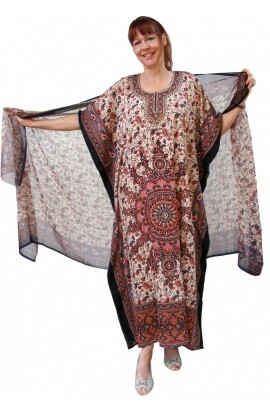 It's a lovely and unusual kaftan bearing a small floral design of yellow on a raspberry-wine background. It has a V shaped neckline. However, if preferred, it can be made with a round neckline. Please send a message for this. 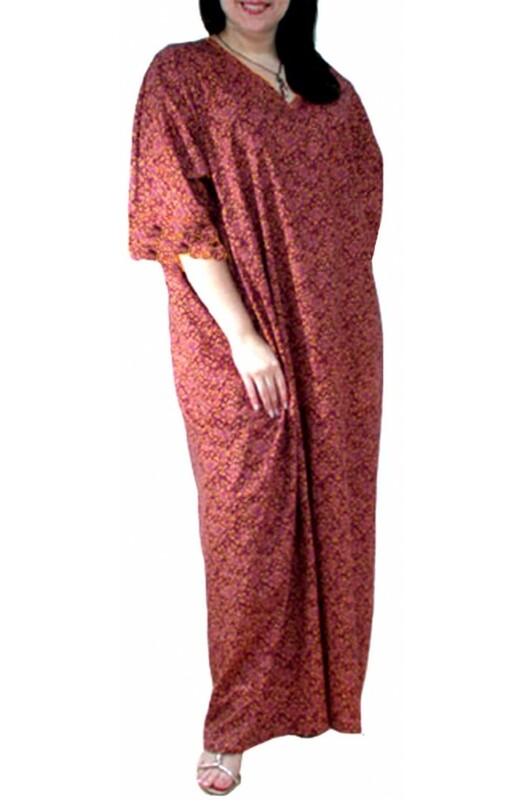 Long full-length ladies kaftan, one free-size that is suitable for hip sizes up to 58".Choice of length available. This is cut in the "tapered" style. If you are a larger size and require the "straight" cut version, please let me know if you require this version. It is available in three standard lengths, but again, these can be modified if required.